Taken with the crappy webcam in my Dell laptop using the KDE screenshot tool to capture the window contents of the configuration panel of Kopete and using the Gimp to crop out the picture. 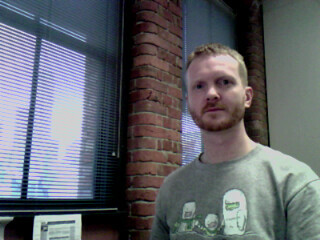 I did have to play with the color balance of the webcam so I didn't come out too purple. I hope that's not against "the rules."